Established bloggers such as Xenia Tchoumi, reality T.V’s Stephanie Pratt and men’s fitness and fashion guru Rowan Row were a few of the numerous social influencers found wandering the vast expanses of Nuffield Hall. Some took to the stage to give precious insights into the world of fashion and beauty blogging, others networked tirelessly, as one must to stay relevant in an ever changing landscape, and Fingernails2go positioned themselves right at the heart of this bustling convention. Fingernails2Go received numerous inquiries and interactions as the eye catching kiosk could not be ignored. 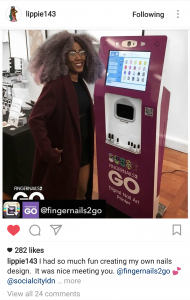 Indeed @lush_leah.x, @simplyyykatie, @samyspage, @lippie143 and @bathbeautyxx took some time out of their day to experiment with the kiosk and document their experiences via their vlog series and Instagram pages so that their legion of faithful followers could share in her excitement. 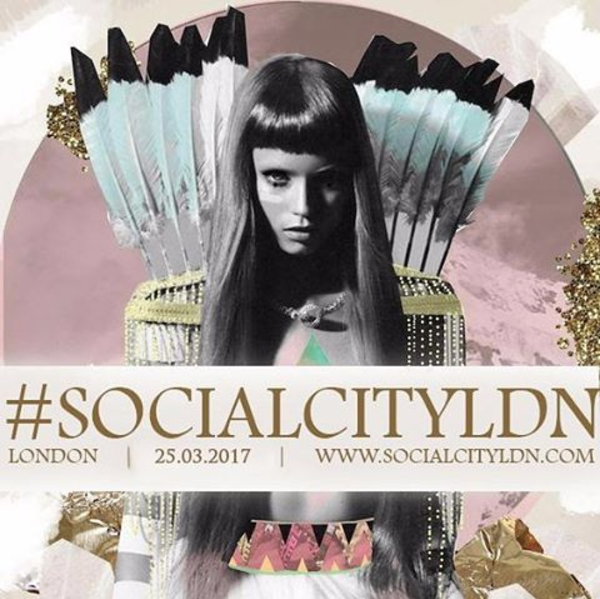 The enthusiasm seen at @SocialCityLdN was palpable, with steady streams of bloggers and content creators finding themselves printing intricate designs throughout the day, either for themselves or on artificial nails to take home as gifts, we can be sure that Fingernails2Go left a lasting impression on the savvy social media bunch. The whole convention can only be described as a success for all involved. To see such passionate and educated people speak about our industry, with great insight, assures us that #SocialCityLdN helped expose the Fingernails2Go brand to the right people.